I love the book of Galatians. It may be my favorite book in the Bible. It speaks to so many things about faith, about grace, about the Christian lifestyle, about who we are called to be. Today’s ready reading deals with two of the things we deal with. First Paul reminds of this central, core fact. We are saved by grace through faith. We are not saved by our works. We are not saved by anything we can do. We are saved by God’s grace made full in our lives. “do” saves us. 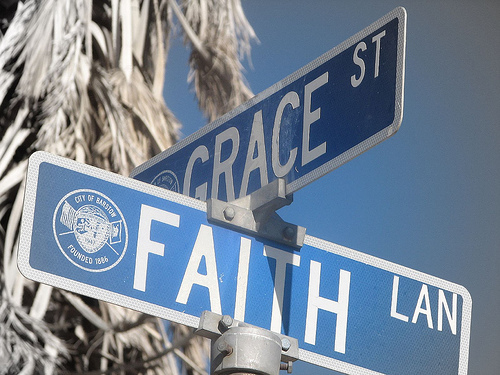 Only grace, through faith, saves us. Ok then, what does that look like? We see that in verses 17 – 20. That grace makes us a new person. We are changed. We are different. We are not the same person that we were before. We are new. We are different. We think different. We act different. We are new. So, today, know this one face. You are saved by God’s grace which is made known to you by faith. That is what enables and makes salvation possible. That’s it. But that salvation will change us. It will make us different. We don’t need to be the same. We need to be different. And if we’ve experienced grace, if we’ve experienced salvation and are not changed, how is it with our souls. Today, we are made new by grace in our lives. Today, may that grace change us and grow us closer to God in amazing and powerful ways!